Welcome to Houston's Premier Casket Showroom. 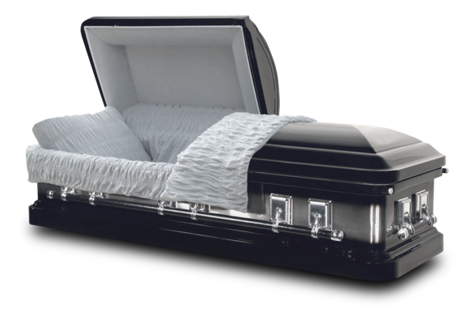 18-20 Gauge Premium Steel Caskets $925 to $1,231...Funeral Home Price $2,500-3500. Don't waste money purchasing a casket at a funeral home~~according to the Federal Funeral Rule, the funeral provider may not refuse, or charge a fee, to handle a casket you bought elsewhere. With Webb Caskets of Houston, Texas, we will deliver the casket to the funeral home of your choice. First 50 miles are included. We have several new caskets for sale, built with the finest materials. These caskets are an elegant tribute for your loved one at a reasonable price.